The award consists of a medal designed by Judith Munk, a commemorative lapel pin, and a certificate bearing the signature of the President of The Oceanography Society. The nominations deadline for the next award is March 31, 2019. All nominations should be submitted either as MS Word or Adobe PDF files to info@tos.org. Dr. Andone C. Lavery has been selected as the 2017 recipient the Walter Munk Award for Distinguished Research in Oceanography Related to Sound and the Sea. Dr. Lavery is an Associate Scientist with Tenure in the Department of Applied Ocean Physics & Engineering at the Woods Hole Oceanographic Institution. Through discrimination between the scattering by zooplankton and physical microstructure using broadband acoustic measurement methods and models, Andone Lavery has quantified important biological and physical parameters leading to new understanding of both ocean physical processes and marine biology. Dr. Lavery will receive the Munk Award during the 174th Meeting of the Acoustical Society of America in New Orleans, Louisiana (December 4 – 8, 2017), and she will also be recognized during the Ocean Sciences Meeting in Portland, Oregon (February 11–16, 2018). She will also give presentations at both meetings. Dr. Carl Wunsch has been selected as the 2015 recipient the Walter Munk Award for Distinguished Research in Oceanography Related to Sound and the Sea. 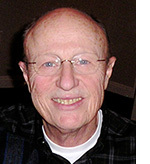 Dr. Wunsch is the Cecil and Ida Green Professor of Physical Oceanography, Emeritus, in the Department of Earth, Atmospheric and Planetary Sciences, Massachusetts Institute of Technology as well as Visiting Professor of Physical Oceanography and Climate, Department of Earth and Planetary Sciences, Harvard University. Carl Wunsch is honored as one of the fathers of ocean acoustic tomography and as a principal contributor to our understanding of the physical processes that affect the propagation of sound in the sea. He adapted the machinery of inverse methods and ocean state estimation to use acoustic data to infer the ocean sound-speed (and therefore temperature) field and to interpret a wide variety of other oceanographic data. He applied inverse methods to the data obtained in pioneering tomographic experiments and made seminal contributions to the theoretical developments that underlie the field. Dr. W. Steven Holbrook is Professor of Geophysics, University of Wyoming, and Adjunct Scientist, Physical Oceanography Department, Woods Hole Oceanographic Institution. Dr. Steve Holbrook has been selected as the 2013 recipient of the Walter Munk Award for Distinguished Research in Oceanography Related to Sound and the Sea. Dr. Holbrook will be honored during presentations at the December meeting of the Acoustical Society of America as well as the Ocean Sciences Meeting in February 2014. Steve Holbrook is honored as the father of the new field of “Seismic Oceanography”. His use of low frequency seismic reflection profiling to image the water column has provided quantitative and novel insights into the structure and dynamics of internal waves, eddies and mixing processes. With his innate and relentless curiosity, he has provided unprecedented views of the internal workings of the ocean. His generous collegiality has also been a stimulus to the formation of an interdisciplinary seismic oceanography community. Dr. William Kuperman, Professor of Oceanography and Director of the Marine Physical Laboratory of the University of California San Diego, Scripps Institution of Oceanography has been selected as the 2011 recipient the Walter Munk Award for Distinguished Research in Oceanography Related to Sound and the Sea. 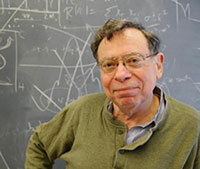 Bill Kuperman is at the forefront of a revolution in our understanding of wave scattering physics. This revolution is changing such diverse fields as medical imaging, seismology and oceanography. Practitioners now use chaotic scattering fields as coherent lenses and random noises as coherent sources. Complex propagation environments that once confounded the interpretation of received signals are now are said to “enrich their information content”. Bill and colleagues have discovered how to extract this information and are opening new avenues for the remote sensing of the ocean. For oceanographers, the benefits of this revolution are just emerging. James F. Lynch of the Woods Hole Oceanographic Institution was honored as the latest recipient of the Walter Munk Award for Distinguished Research in Oceanography Related to Sound and the Sea. Dr. Lynch was recognized for his achievements during ceremonies held on October 27 and 28, 2009, at the Acoustical Society of America Meeting in San Antonio, Texas. The United States Navy and The Oceanography Society present The Walter Munk Award to James F. Lynch, for improving the understanding of oceanographic processes that affect acoustic signals in shallow water, for the development of acoustical methods for measuring these processes, and for leadership of and service to the US ocean acoustics community. 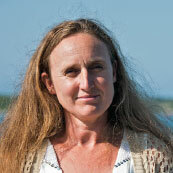 Dr. Lynch will also be recognized during activities at the 2010 Ocean Sciences Meeting in Portland, Oregon.